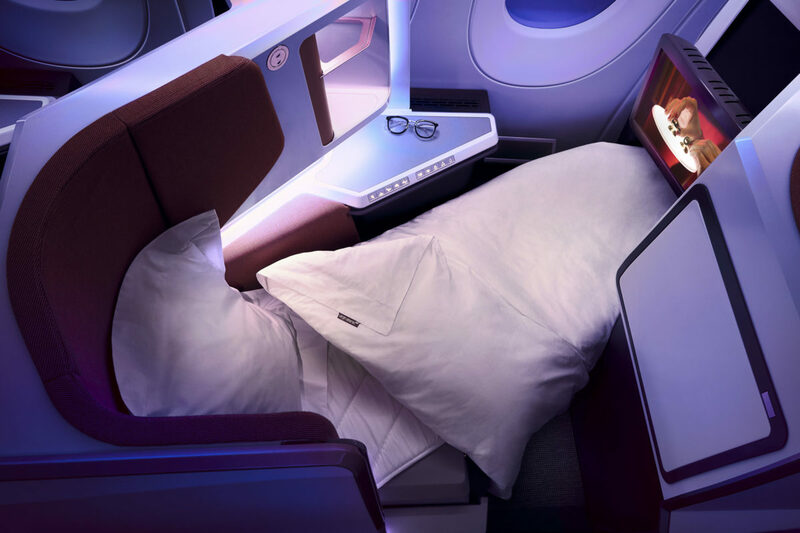 Business class flyers aboard Virgin Atlantic’s newest aircraft will have two new amenities to look forward to when they board. 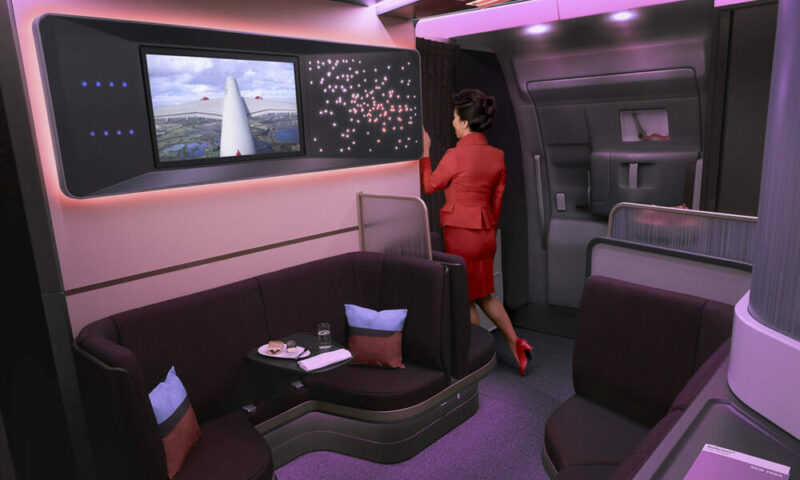 On their blog, the carrier announced the launch of a new Upper Class experience and a lounge space exclusive to the premium cabin flyers. The new A350 Upper Class suite was designed in collaboration with the carrier’s design team. Each suite comes with a lay-flat seat and a privacy screen for a personal experience. Cocktail tables, additional shelving and large tray tables are integrated into the seat design to make the trip more comfortable. Flyers can recharge their items with USB and power sockets while connecting to the 18.5-inch in-flight entertainment screen via Bluetooth for a wireless experience. Individual seats aren’t the only place where flyers will find Bluetooth integration. In the Upper Class lounge, named The Loft, passengers can congregate for a drink and community entertainment. With room for eight, everyone there can watch in-flight entertainment on a 32-inch screen and listen in by connecting to Bluetooth audio jacks. The Virgin Atlantic A350-1000 is scheduled to fly to both London Heathrow Airport (LHR) and London Gatwick Airport (LGW), with the initial flights going between LHR and John F. Kennedy International Airport (JFK) in New York. 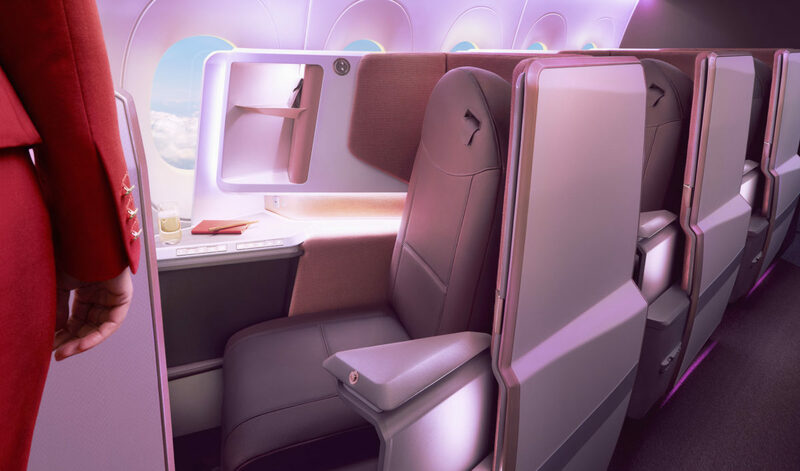 This new customer experience comes on the heels of British Airways’ business class announcement, featuring doors on each of their new suites. How do you feel about the new seats? Let us know on the FlyerTalk Forum! First, zero tolerance is always totally unreasonable. Second, punishments should in measure fit the crime. Third, in todays experience, good documentation is always needed. Fourth, undertrained and inexperienced staff are now all too common. They just don’t know what to do or what they cannot do. Sixth, more backup resources for strained conditions. Water when delayed for hour(s). Sixth, the FAA needs to step up to the plate.